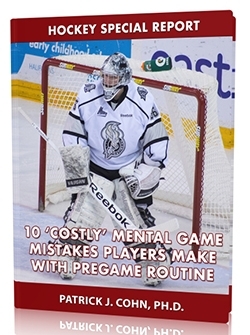 What does it mean in hockey to “play your game?” “Playing your game” simply put means taking advantage of your strengths and dictating the course of action on the ice. When you compete from your strengths, such as your stick-handling, you play to win as opposed to playing not to lose. 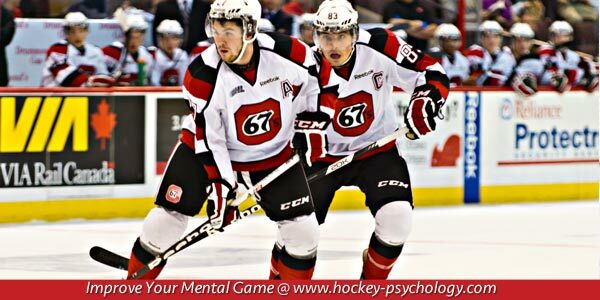 The mindset of playing to win is a significant advantage to hockey players. It is a proactive approach that puts you in the driver’s seat instead of reacting to what your opponents are doing. It puts you a half-step ahead of your opponents and boosts your confidence during games. Playing to win gives you a positive focus throughout a game and helps you rebound quickly from mistakes. Provides you a sense of control and helps you focus on what you need to do to play well. Allows you to impose your will against your opponents and dictate the flow of the game. Increases your game-time confidence and reduces anxiety. Allows you to play loose and go for opportunities without fearing mistakes. Helps you rebound from mistakes. Helps you successfully close out games. Remind yourself… no matter how the game unfolds, the only chance you have to play optimally is to play your game and compete from your strengths. 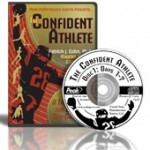 Improve your confidence in hockey today with The Confident Athlete Workbook and CD Program!